I remember the day I submitted a draft of a paper that shared my best tips. My editor asked, “Are you sure you want to do this?” With that simple question I let doubt creep in. 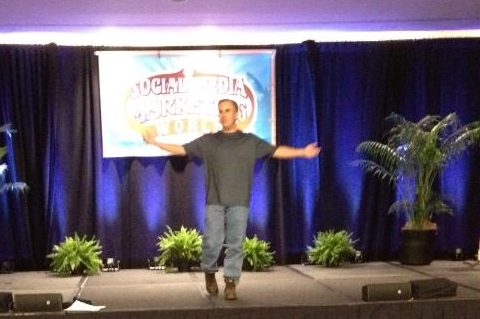 Preparing for my keynote at Social Media Marketing World 2013. Isn’t it funny how one little comment can destroy our path to creativity? As I study what stops people like you and me from making progress in any creative project, I think there are two primary clusters of issues: fear and doubt, and the desire for immediate success (said another way, an unwillingness to do the work). Whether you’re looking to make a video, write a blog post, record a podcast or start a new venture, you will hit road blocks. 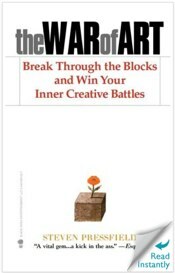 Keep reading to learn how to bust through the barriers to your success. Let me be brutally honest. I have a lot of fears and doubts. And in truth, when I originally floated the idea of this blog to a few of my friends (who knew a ton more about social media), they didn’t express much real interest. The idea of Social Media Examiner almost never came to life. 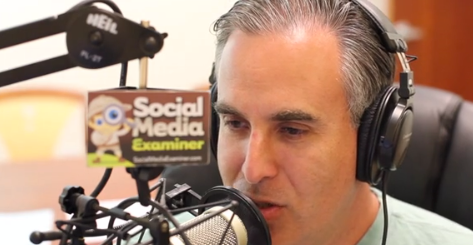 I had a lot of fears and doubts when it came to the launch of Social Media Examiner. And I am facing the exact same fear with my latest blog, My Kids’ Adventures. In reality, these are the lies I tell myself. And sometimes, tragically, I believe them. What have you not yet started? What doubts are going through your mind? Here’s the funny thing—it’s as if all of our past success is simply a house of cards. And all it takes is the wind of one limiting belief for the whole of our confidence to come crumbling down, flattened and back to square one. But the truth is that you and I have overcome a lot more fear than we realize. We just need a bit of reminding and some solid advice. Steven Pressfield in The War of Art calls self-limiting doubts the resistance. Think of resistance as the enemy who wants to see you fail because if you win, then the war is over. Resistance lives in your head and its primary mission is to make sure you never take a risk or try something new. As I tell my 11-year-old daughter I’m writing this article, she says, “Seriously dad! Boring—like who’s gonna read that?” Another sign I need to finish this piece! According to Pressfield, fear is actually a sign that needs to be reinterpreted. When you feel doubt, it means you’re heading down the right path. 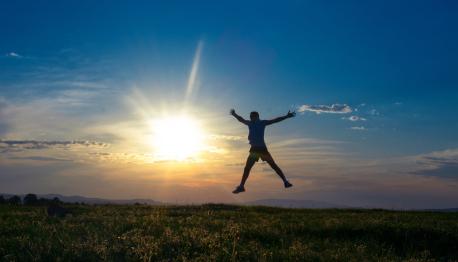 Here are a few tips to help you overcome fear. Tip #1: When doubt and fear creep in, you creep forward. A short video—that had nothing to do with marketing and everything to do with creating fun memories with our kids—went on for two minutes. This video was shown for the first time at Social Media Marketing World 2013. I knew it was a massive risk and that it could bomb. But it didn’t. You see, I was okay with failure. I knew if the video didn’t resonate with people I would not start My Kids’ Adventures. I had only recorded the scenes 10 days earlier. I put my heart and soul into that video. And people loved it. After that video, there was no turning back. In my mind, I jumped into a big hole with no rope and no one to pull me out. I knew I was at the point of no return, and turning back was simply no longer an option. I faced constant resistance. But I told myself these are simply signs I need to move forward. 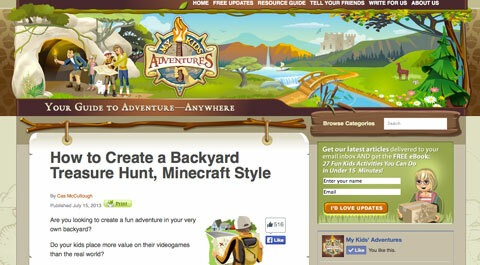 I had huge fears when it came to sharing my idea for My Kids’ Adventures at Social Media Marketing World 2013. During the first 5 months since the launch, more than 140,000 people have visited the site. We’re on our way, although I’m still struggling to navigate into a new space and fear remains. But one thing was clear, I knew that fear meant I needed to move forward. Are you willing to embrace your fear and go for it? The advice of friends can be both a blessing and a curse. In my own experience, few of my real friends have taken risks to start a business or venture into unknown territories. 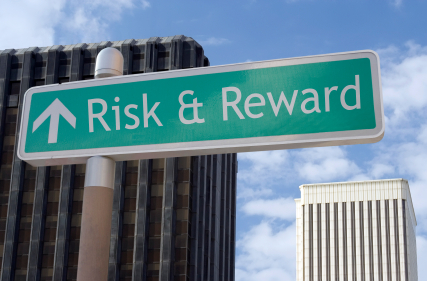 Most are not naturally risk-takers. When it comes to that next crazy idea you have, seek the wisdom of those who’ve taken risk and overcome their fears. I found them among a small group of fellow podcasters and entrepreneurs. We meet online each week in a mastermind group. The mastermind group helps us discuss our fears. They know fear when they see it. They also know me enough to provide the right type of encouragement I need to push through my own doubt. So consider joining or starting your own group of like-minded risk-takers that regularly meets. Alternatively you may want to hire a coach who can guide you past your fears. When others who’ve ventured down unknown paths surround you, you’ll be inspired and motivated to give it a try. Create a journal of your successes. Your future self will thank you. Our memory is the first thing we lose when we face fear and fail to move forward. When we actually think back, each of us has overcome so much in our lives to get to where we are now. Remember when you first went out on your own, first drove a car, asked someone on a date, had your first child, first spoke in front of an audience or purchased your first home? At the time, these may have all seemed out of reach or simply insane, but looking back they were preparing you for much bigger creative risks. We recently had a staff meeting with our executive team at Social Media Examiner. Our heads are so down in the weeds working, we often forget to look up and see the progress that’s been made. When I was able to review what was accomplished in the last 12 months, all the folks on our team were simply astonished. What are your wins? Why not find a quiet place and start writing down all the accomplishments you have made thus far on your path? It’s the little wins, the looking up and the looking back, that help us see we actually have nothing to fear. Overcoming fear and doubt are only half of the challenge. There’s one more major reason we fail to create. Once fear and doubt are put to rest, we must be willing to do the hard work to make our ideas come to life. Everyone loves a success story. Stories of overnight success encourage and inspire us. The problem is that most are lies. The veil of overnight success often covers up a decade or more of work. The reality is that nearly every successful artist, blogger, podcaster, speaker or creative person has refined their craft through years of trials, failures and setbacks. We must be willing to do the work if we want to be creative. Tip #1: See the future outcome. I think the main reason we don’t do creative work is because we haven’t clearly visualized the reward or outcome of finishing. Said another way, we lack the vision to see what could happen if we move forward and create. What rewards will come if I create? What will my creation enable me to do that I have not been able to do before? Who will I be able to impact with my creative work? By pondering the above questions, you should be able to visualize some clear benefits of your idea. Write those outcomes down and review them often. Tip #2: Understand the cost. Another challenge is to understand the costs of your idea. Once you know what could be achieved if you create something great, wrap your mind around the investment and needed sacrifice. Be real about the work needed to make your idea come to life. Don’t be fooled that you’ll be the one who achieves overnight success. It simply isn’t how the creative process happens. Time is usually the biggest cost of getting creative. What are you willing to sacrifice to make something great? 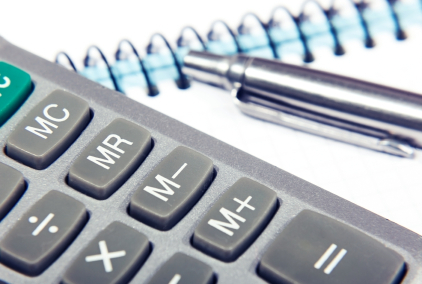 Grab a pen and paper and start figuring out the costs. Remember the rewards. After you’ve gone through these exercises, you’ll be ready to move forward and slap fear in the face. Are you ready? Do you have fear and doubt? If so, welcome to the human race—we all do. Use fear as the green light to move forward. Seek the wisdom of those who’ve taken risks. Celebrate the wins you’ve had to help you bravely step out. Once you’ve controlled your doubt, be sure you clearly know the potential rewards of your creative idea. Wrap your mind around the sacrifices you’ll need to make. With a clear vision and fear properly reined in, you can do anything. What do you think? What’s holding you back? I’d love to hear your comments below.